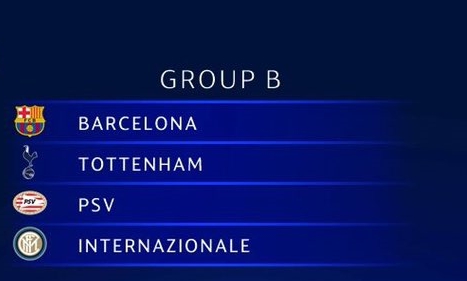 The 2018-2019 UEFA Champions League group stage draw took place today in Monaco and FC Barcelona’s group will be a tough group. 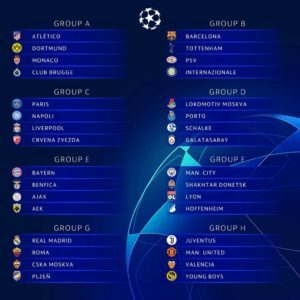 Their group opponents will be Tottenham Hotspur, PSV Eindhoven, Internazionale Milano in their pursuit of their 6th Champions League crown with the final taking place on June 1, 2019 at the Estadio Metropolitano in Madrid. Previous PostBarça defeat Real Valladolid 1-0 in tough away trip. Next PostBarça remain perfect after thrashing Huesca 8-2.